MSC Cruises continues to expand in North America with the announcement of a new cruise terminal at PortMiami. An agreement has been signed for berthing rights along with a Memorandum of Understanding (MOU) for a new cruise terminal. The cruise capital of Miami, Florida will see a shiny new cruise terminal in the future thanks to MSC Cruises. The project is set to be completed by October 2022 and will be able to cater for the next generation of cruise ships known as the MSC World Class ships carrying up to 7,000 guests. The cruise line and Miami-Dade County seem to have a good thing going at the moment and the recent completion of Terminal F compliments just that. That terminal caters to the new MSC Seaside which was purpose-built for the U.S. market. Currently the revolutionary MSC Seaside, which debuted only a few months ago in late 2017, sails year around from Miami to the Caribbean from the recently completed Terminal F. MSC Divina also sails seasonally to the Caribbean from October through March, and MSC Armonia will join MSC Cruises’ North American-based fleet beginning year-round cruises to Havana, Cuba in December 2018. 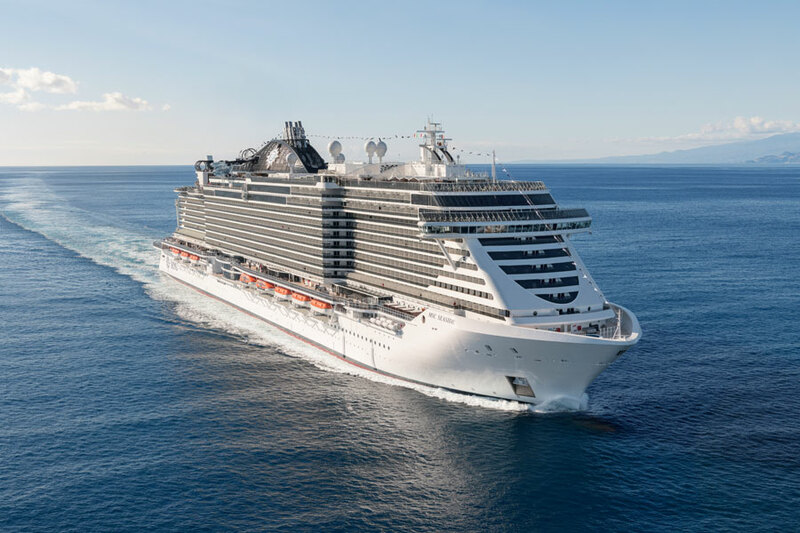 In addition, as of November 2019, MSC Meraviglia, the Company’s largest ship at 171,598 GRT with the capacity to carry 5,714 cruise guests (4,488 at double occupancy), will join the other three ships at PortMiami. More details will be revealed about the new PortMiami MSC terminal in the future so keep an eye out for updates on Cruise Hive.